committed to bringing authentic Italian foods to the American table. 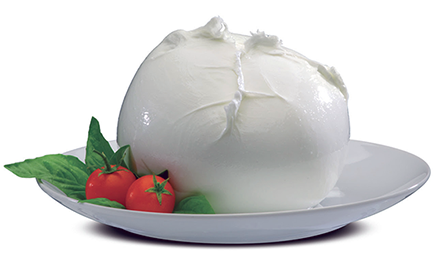 The authentic and highest quality Mozzarella di Bufala made exclusively from the rich milk of domestic Italian water buffalo in the pristine pasturelands of Southern Campania. “The queen of the Mediterranean cuisine", also called "the pearl of the table", Mozzarella di Bufala Campana is a unique fresh cheese with a delicate characteristic taste. Soft to the touch, it releases a white milky fluid when cut. Burrata is a fresh cheese best described as an outer shell of mozzarella stuffed with a mixture of shredded mozzarella and cream. Cut it open and a thick “cream” runs out. A true delicacy, our Burrata is hand produced from fresh milk in Puglia, the “heel” of Italy, where it was invented around 1900. 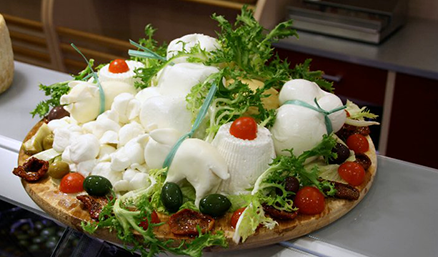 Italians have made a huge variety of cheeses for centuries. Our Ricotta di Bufala, Scamorza di Bufala, Caciocavallo di Bufala, are just some of the outstanding examples of the different textures and taste of the fresh or aged, plain or smoked cheeses of the Southern Italian tradition. 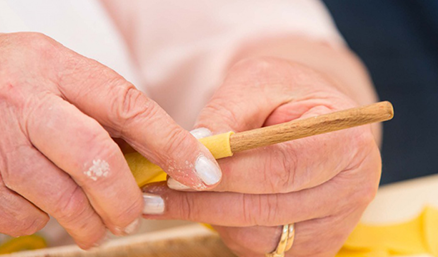 Delicate and tender, our All-Natural Fresh Pasta is made in Italy with premium quality dough, strictly following traditional methods. Notable for their quality, taste and variety, it can be stored for months in your refrigerator, yet cooks in less than 4 minutes. 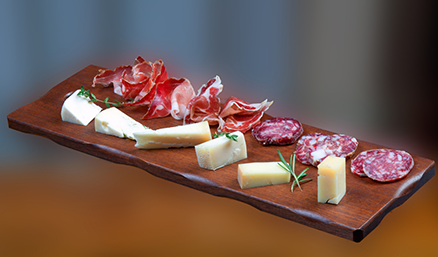 Italians enjoy Salumi and Cheese at the start of a meal, on their own, or to accompany a good wine. We source the best available cured meats, from ethereal Prosciutto to hearty Salami, buttery spicy ‘Nduja to smoky savory Speck. They are the perfect foil for our offer of Cheese, from the mild Gorgonzola to the sharpest Pecorino, from buttery Fontina to grainy savory Parmigiano Reggiano. What would Italian food be without Extra Virgin Olive oil? Or Tomatoes? 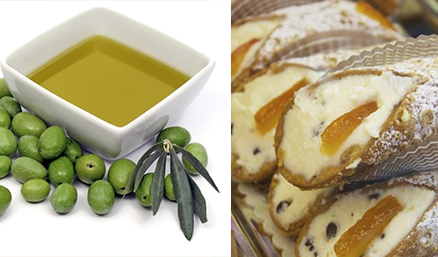 We import the best quality delicacies to bring the real flavors of Italy to the table. Our inventory includes almost everything you need to put an authentic, traditional Italian feast on the table.